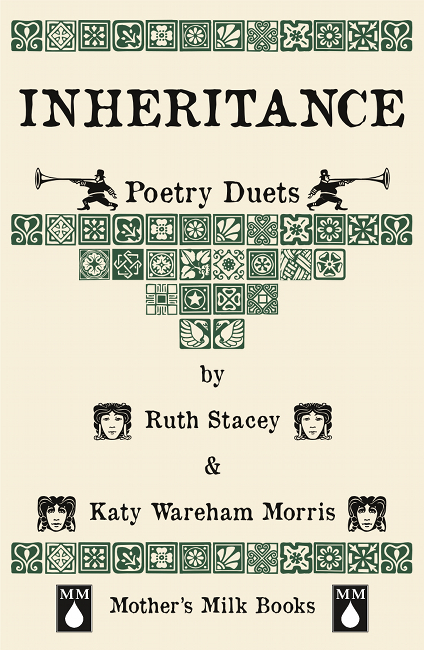 It’s a wonderful feeling to have been shortlisted in the Saboteur Awards, with Katy Wareham Morris, for our collaborative piece Inheritance (published by Mother’s Milk Books). Thank you to people who voted for our pamphlet. This sequence of poems was written at a time when both Katy and I were under various life pressures, but we found a break from all the stress by working on the poems together. I started the sequence off with the first poem and then we would write in response, incorporating a word, phrase or feeling from the previous poem to create an echo across the centuries. After working on my book, Queen, Jewel, Mistress, it was absorbing to explore just one imaginary character in the 19th century. In contrast, Katy was working on poems that examined the current experience of modern motherhood. “2016. Nights of no sleep, new infant to feed and soothe; a woman reaches for an old box of papers to read. Letters, diary: fragments of a life long gone. The writing of a forgotten relative from the 19th century that she had always meant to do something with. Archive. Study. Yet, she never had the time, until now, when her baby ‘murmurs in the blue slate light’. The woman from the past is suddenly in her life, ‘soft as the nook between neck and ear’. Two voices trying to find their way through motherhood and marriage, whilst still clinging to their own identities. If you have enjoyed Inheritance … 9th April-9th May: Voting on shortlist opens: Vote Now! 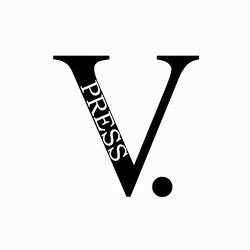 It is also brilliant to have two V Press Poets nominated for best pamphlet. Claire Walker and Romalyn Ante. Edited by Sarah Leavesley, who runs V Press, they are very different in style and showcase the variety of excellent work Sarah selects. As usual, my part of V.Press was designing the hand-sketched covers (Sarah does the photo covers for the flash fiction). 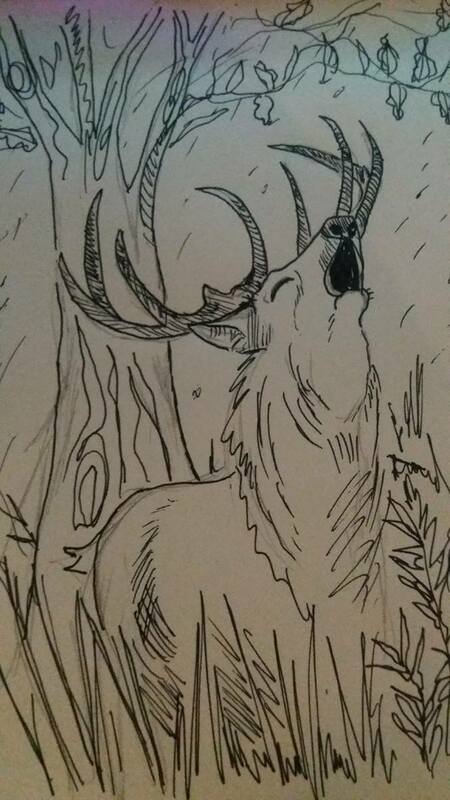 Below is one of the stag images I drew for Claire, one of many as it was a very vivid sequence set in the countryside. It wasn’t chosen as the final cover but it remains a favourite of mine. 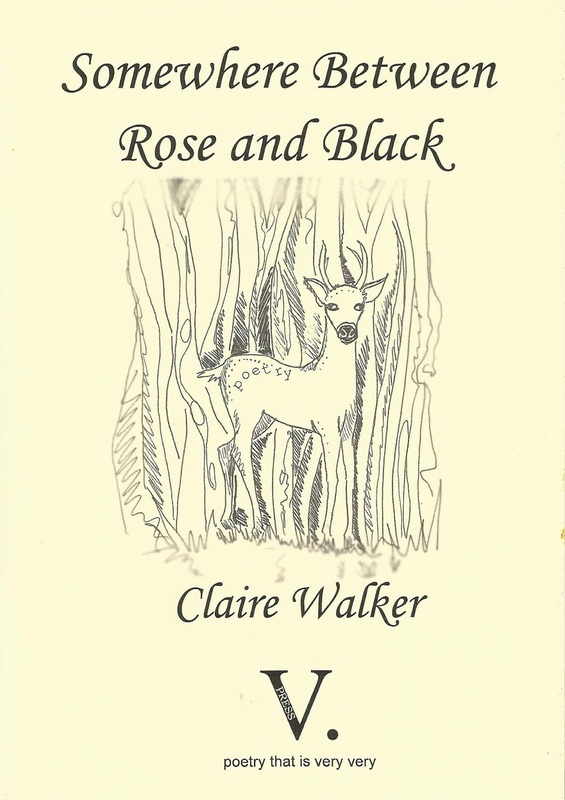 Claire chose a tremulous, cautious deer peering out of the trees, which suited the pamphlet perfectly. 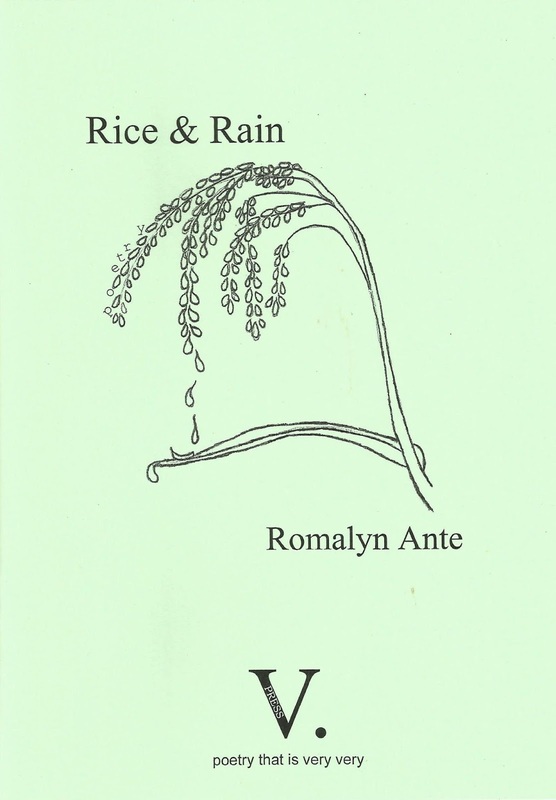 Romalyn’s design was plain and one of those perfect combinations of the words becoming the image. I really enjoy reading each new poetry pamphlet or poetry book and working on the covers; sketching the pamphlets (where I include the word poetry somewhere) and bolder designs for the books. For example, Kathy Gee’s Book of Bones had a striking, white image of a skull on the cover. Antony Owen, recently shortlisted for the Ted Hughes, had a plain blue cover with a repeating classical pattern bordering the name of the book: The Nagasaki Elder. Antony is an incredible ambassador for peaceful protest against nuclear arms and one of the things that sums up his kind, generous nature is the request he made to me to make his name hardly stand out on the cover as it was the names of the people in the poems, those interviewed in Hiroshima and Coventry, that mattered. Finally, the incredible, monumental, heartbreaking, upsetting, vital #metoo anthology has been nominated. I am very proud to be included in this book. It has been so carefully and considerately edited by Deborah Alma and published by Nadia Kingsley at Fairacre Press. The work in this book will not be an easy read, but it is necessary, and ultimately creates a feeling of hope and solidarity. 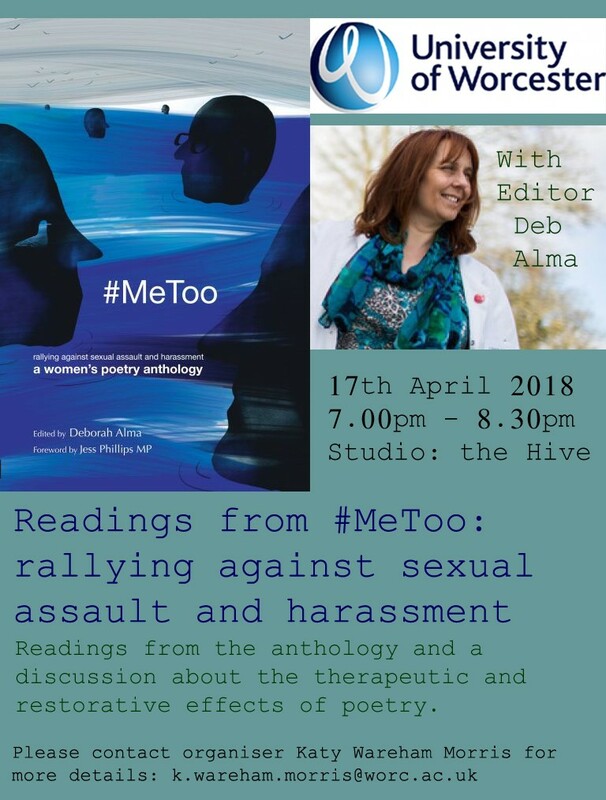 You can hear Deborah discuss the anthology at the Hive, Worcester 17th April.